Lawn weeds…problem or not? That depends on the types of weeds that show up in the grass. What about those strange flowers that often pop up in the grass? First, some formal stuff. Normally basic lawn weed questions begin by dividing the types of weeds commonly found growing on lawns into broad leaved weeds and grass weeds. Broad leaf weeds concern homeowners most. For example, broad leaves and yellow flowers characterize the dandelion, one of the the most common types of weeds confronting the home owner. This brief overview presents other common types of weeds commonly found in the lawn. The presence of small flowers unites the group. The following review provides information about many common flowering broad leaf weeds found growing in residential areas. Clover (Trifolium), a genus of plants in the pea family (Fabaceae) can easily be identified by the ball-headed flower. Clovers grow easily with grasses, often making them a lawn nuisance. However, some clover types are also considered beneficial plants and used as ground cover. The clover friend versus foe dialogue pops up whenever someone notices a small patch of clover growing in the yard. Should clover be considered friend or foe? The answer almost always includes an “it depends”. Clover presence on a lawn might be part of a general yard landscaping plan or part of a smaller and manageable weed problem. Red Clover (Trifolium pratense), a very common plant of fields and meadows across the United States, can easily identified by the pink flowers and three pointed leaves. Adding an organic fertilizer high in nitrogen is the suggested organic remedy for lawns with clover problems. 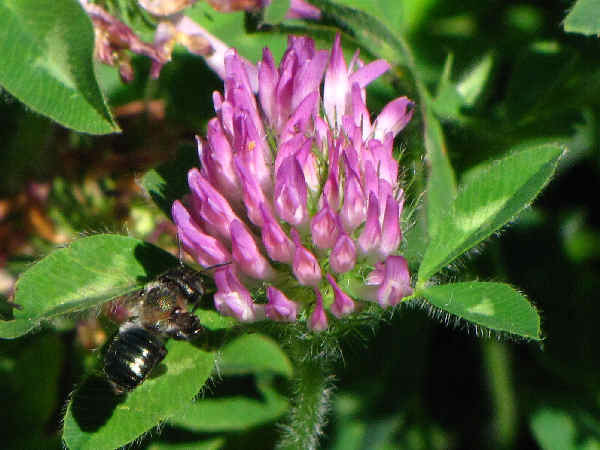 There is not enough scientific evidence to determine whether red clover is effective for any other health conditions. Big-head Clover (Trifolium macrocephalum) grow in open areas of the Pacific Northwest, east of the Cascades. 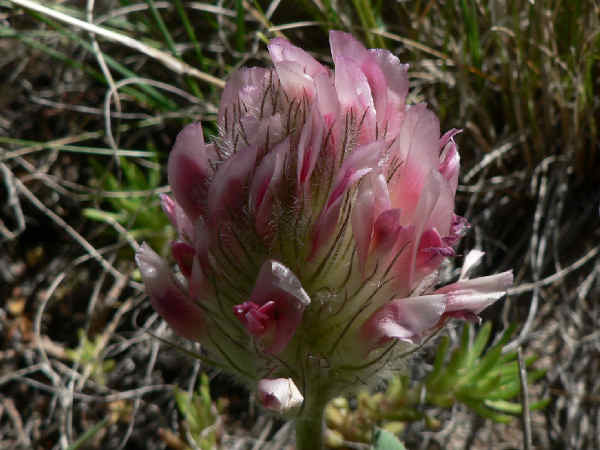 The flower head can measure about two inches in diameter, making it difficult to misidentify. Clover is known for its edibility and farmers and ranchers often graze their herds in clover fields. The Big-head clover is likewise edible and was consumed both raw and cooked by Native Americans. Think geranium family when any small, five petal, pink to purple flower pops up in the grass. 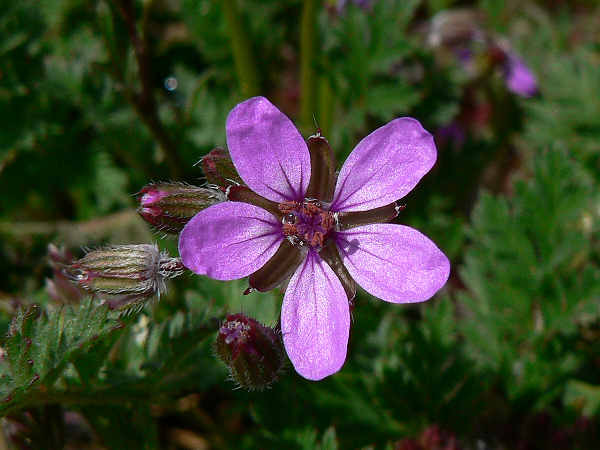 The picture shows Redstem Filaree (Erodium cicutarium). Dovefoot Geranium (Geranium molle), also known as Crane’s Bill Geranium and Woodland Geranium is a similar looking flower and it’s a very common east coast and west coast lawn and garden weed. Large round leaves eclipse the plant’s small purple flower in size. A shallow root system, makes hand removal of the plant and root the preferred organic remedy. Farmers consider the plant an agriculture pest because of its ability to overtake large areas of land, thereby reducing crop productivity. 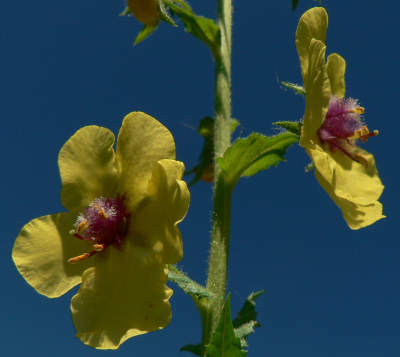 In some larger yards, where perfectly manicured grass might not be the preferred landscaping option, a few larger weeds, such as the Mulleins (genus Verbascum) might occasionally pop up. 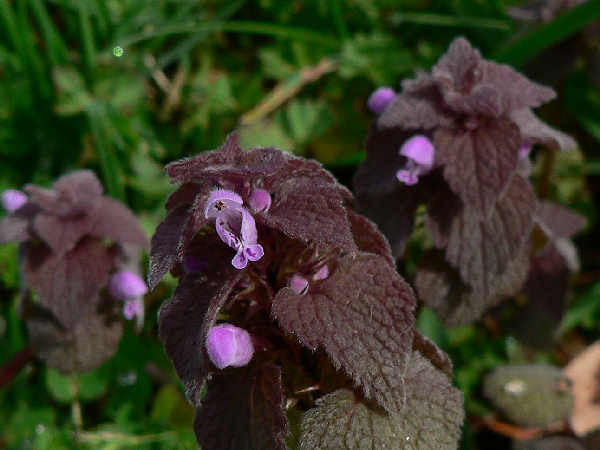 They are large flowering plants in the Figwort family (Scrophulariaceae), native to Europe and Asia. Many mullein species receive credit for having medicinal value. Other species are prized for their ornamental value. Two common mullein species described below get classified as weeds. Common Mullein (Verbascum thapsus), picture above, grows up to ten feet in height, the thin, woolly looking stem blossoms with yellow flowers. Its size and aggressive manner means it edge out native plants wherever it is found, which is basically throughout the United States that receive at least medium amounts of rainfall. Moth Mullein (Verbascum blattaria), also a weed, produces exceptionally nice looking flowers, with petals ranging from white to yellow, contrasted by purple filaments. In instances of low density growth for either species, pulling is a recommended organic remedy. Beware of the deep taproot for the Moth Mullein. 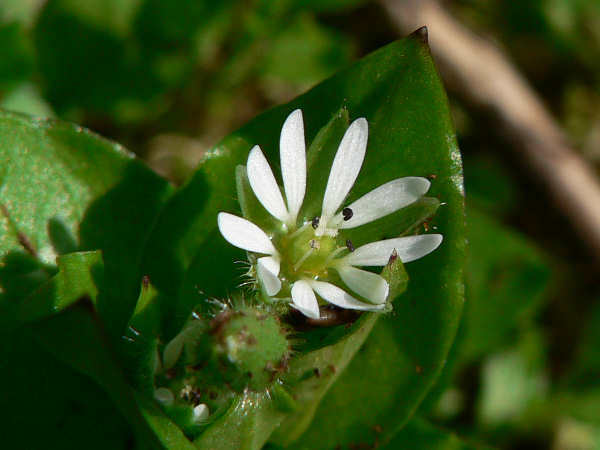 Common Chickweed (Stellaria media), an introduced plant in the Pink family (Caryophyllaceae), can be found on lawns throughout the United States. Like many plants with the weed label, it grows well anywhere that grass grows. The white flowers, much smaller in size than the picture, are early bloomers. It is considered a nuisance plant rather than a problematic ecosystem disrupter. Pulling is the advised removal technique for homeowners concerned with its presence in lawns and gardens. Birdseye Speedwell (Veronica persica), a member of the figwort family (Schrophulariaceae), ranks as quite an adaptable plant. Most botanical histories trace its movement from East Asia to Europe in the early nineteenth century. 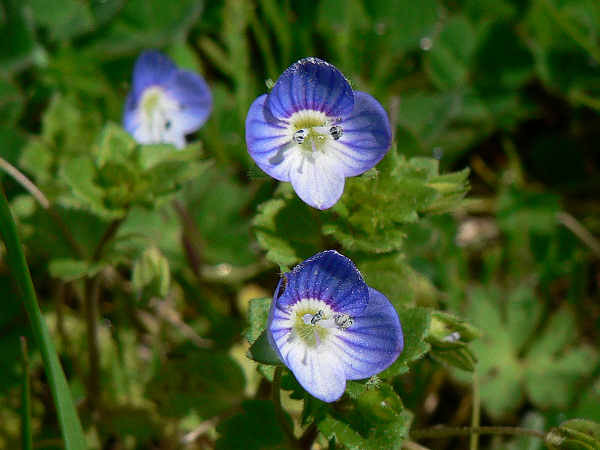 It spread to grasslands throughout much of the Continent, carrying the name, common field speedwell. Introduced to the United States, is now finds a home in yards and fields from coast to coast. It’s now found in sandy soils, and lawns with sandy soils, across the United States. 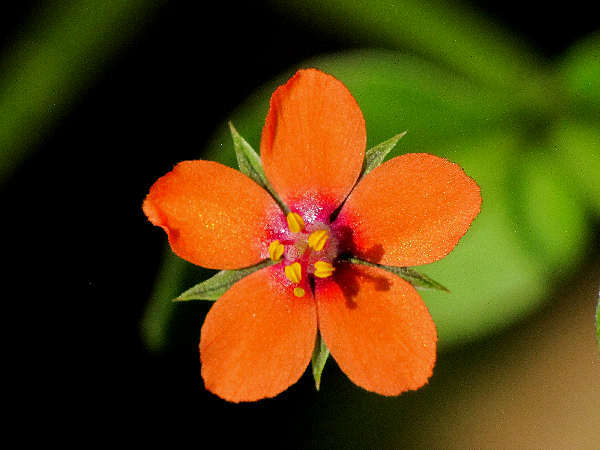 The orange flowers are small and the plant is not known to be an overly aggressive lawn grower. Pulling is the recommended organic remedy in areas where it is not welcome. The extensive root system of Bindwind (Convolvulus arvensis), also called wild morning glory, makes it a problematic lawn and garden weed. Bindwind also causes problems in the agriculture sectors because of its adverse effect on grazing animals when consumed. 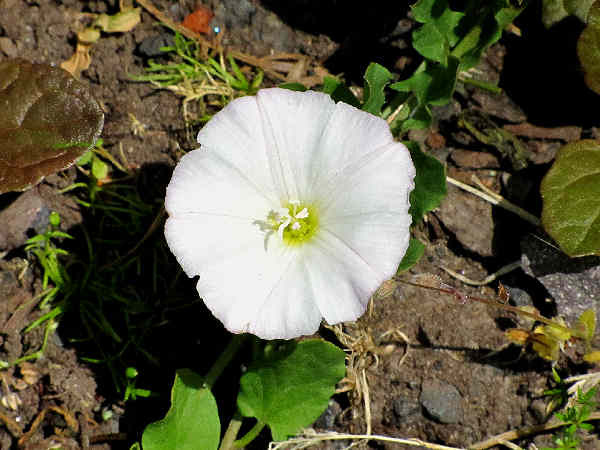 A variety of organic remedies exist for control of bindweed in residential lawns. Tilling the soil and pulling the weeds might be effective for small patches of ground with established plants. Other remedies such as solarization and spraying vinegar solutions show promise for treating larger areas. 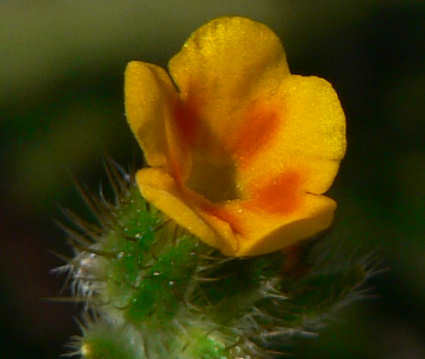 Fiddleneck (Amsinckia), a western genus of flowers in the Forget-Me-Not Family (Boraginaceae), get identified by the presence of their orange flowers, rather than the traditional blue and/or white flowers associated with the family. Thin stems with multiple flowers describe most species. The weight of the flowers bends the stem, giving it an appearance resembling the top of a fiddle. 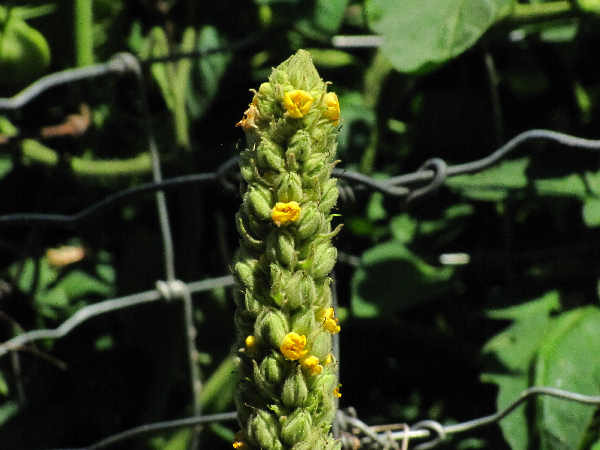 Fiddleneck species are known to be toxic to domestic grazing animals and often for that reason they are categorized as weeds, despite their being native plants.